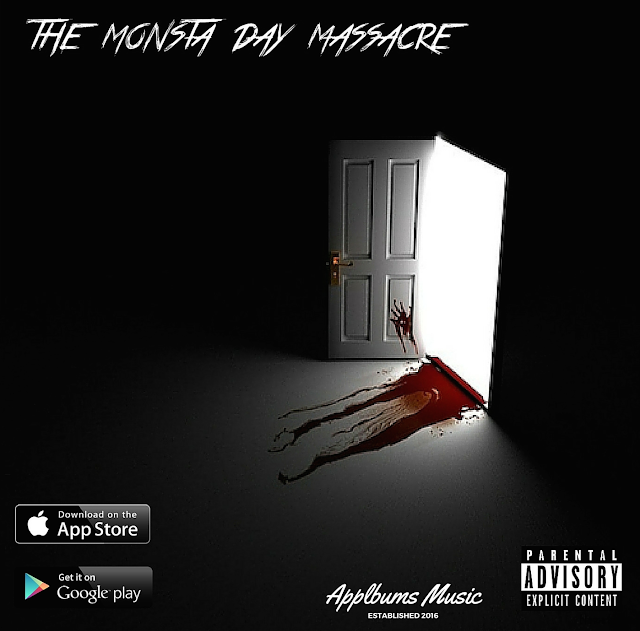 The New Orleans music production duo MonstaBeatz is dropping their latest Applbum entitled The Monsta Day Massacre, which is an App featuring unreleased music from Lil Wayne ,Curren$y, Wiz Khalifa, French Montana, Lloyd and more. Being in the music industry since 2008, MonstaBeatz has stashed a significant amount of songs in their Haunted House Studios waiting for the right time to release them. With so much high-quality content in their vault these songs needed a way to be released that was new, engaging and stood apart from the traditional distribution channels. After the success of PRIZMS the Comic Book & Album App and the Diamond Man Game, MonstaBeatz decided to stay in line with their vision for distributing albums through Apps and developed the Applbum The Monsta Day Massacre.